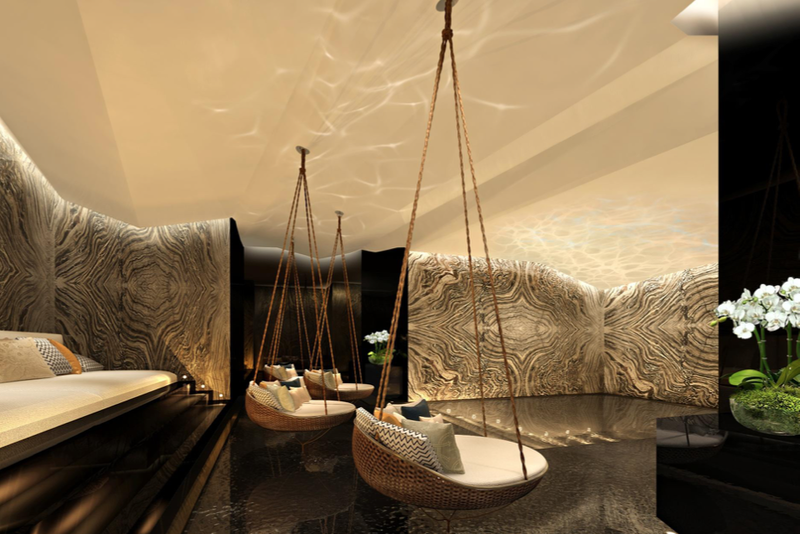 The spa at the Ritz Carlton is, as always, the ESPA, a brand the hotel works closely with around the world. Having previously visited and reviewed the ESPA in Hong Kong, I was expecting the same sort of facilities, but Macau benefits from having more reasonable property prices compared to Hong Kong, and as a result, the facilities are huge. After being lead around some dimly lit corridors, we entered into the change room area, which lead to a dark cavern equipped with a steam room, sauna, semi exposed shower with varying pressure and temperature options, ice mound, and what was essentially a bath the size of a swimming pool, with a shallower end that had cute swinging lounge chairs right above the water. In this (warm water) swimming pool, you could sit in a metal bar enclosed semi circle cylinder and float with your arms resting against the top railing with the jacuzzi function on, or swing yourself from side to side in the overhanging lounge chairs with your feet dipped in the water. The steam room and sauna were expansive: I've never actually been in such large ones before, and while the sauna was the perfect temperature, the steam room was somewhat suffocating. 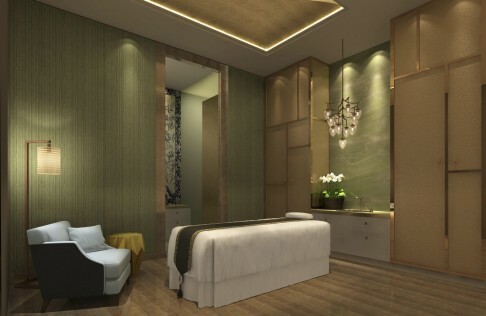 After trying the semi exposed shower (which shoots alternating hot and cold water at you from above and from the sides, followed by a freezing cold downpour if you choose that option), I headed straight to my treatment room for a "Skin Radiance" facial (MOP 1,580 US$200 + 15% tax and service charge). The ESPA provides your typical five star treatment service - you are allowed to pick between two different scents for toners and moisturisers, and after your cleansing and toning, you are given a neck and upper back massage while a mask is being absorbed into your skin. On top of that, I was particularly happy that my beautician applied a heavy, clay hair mask on me - but while they advise not to wash it out afterwards, if you have fine hair like me, I would definitely recommend it (or else you'll end up with heavy, oily hair for the rest of the day!). The one thing I would say is that like the ESPA in Hong Kong, they are not aggressive in tackling skin problems that you may have. Although my beautician put me under a UV light to examine any problematic skin issues I have (slightly oilier T-zone, but dry skin elsewhere - and some pigmentation here and there), there was no talk of doing any extractions or using heavier handed exfoliators. So for those who are looking to actually have more serious skin problems fixed, this is not the place to go - rather, this is a great spa for those who just want to relax and enjoy being pampered - particularly if you want to enjoy their relaxation room, which consists of cabanas and bird cage like lounge chairs to relax in over a refreshing cup of tea. PS. We reviewed our stay at the Ritz-Carlton in Macau here and the great dining options here.